Because of my work schedule, I go to bed around 8:30 pm CST and missed what happened on Raw Monday night. Here is the very latest (as of 2:30 am CST) from the Associated Press wire. MONTREAL (AP) - Professional wrestling commentator Jerry Lawler collapsed during a World Wrestling Entertainment event on Monday night. A statement from the WWE said that Lawler suffered a heart attack at the announcers' table and was taken from the Bell Centre to a hospital. Broadcast partner Michael Cole addressed the television audience and said that the situation is "serious," but that Lawler was breathing on his own. 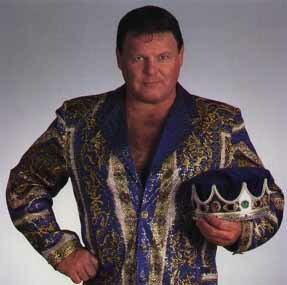 "Jerry "The King" Lawler suffered a heart attack while commentating during last night's broadcast of Monday Night Raw in Montreal," the WWE said in its statement. "We are hopeful Jerry makes a full recovery and returns to WWE in the near future. Our thoughts are with Jerry and his family." Lawler of course wrestled earlier in the night. We here at My 1-2-3 Cents, From the Rafters Radio, and All American Pro Wrestling pray for a speedy recovery for the King. He was a guest on our radio show a few weeks ago. Also, props to Michael Cole for keeping a cool head during all this. I can't imagine what he had to be going through as well. Pray for Lawler!